What Are Malaysians Saying About Changing Fuel Prices? Trying to keep track of the price of fuel in Malaysia will most likely give you mini migraines. It seems like every other week the government decides to change the fuel prices in Malaysia. 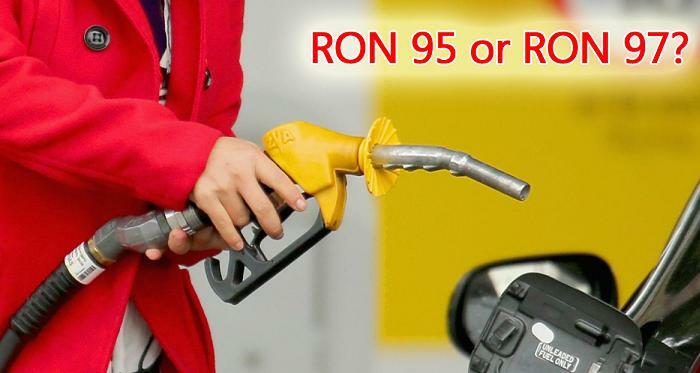 The current price for RON97 is RM2.46 per liter and the price for RON95 is 2.26 per liter. What Do Malaysians Think About This? Mostly, with the differences between RON97 and RON96 to be small enough to be negligible, Malaysians are jumping on the RON97 is superior to RON95 bandwagon and using RON97 instead. This resulted in RON97 being ‘out of stock’ at places, as The Star reported today. 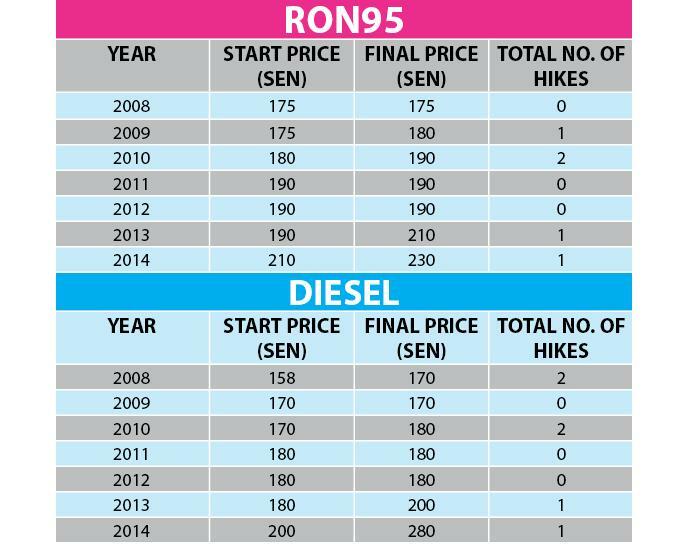 Overall, Malaysians are taking this rolling price fairly well, with the questions now being whether they (we) should switch to RON97 and what would happen if you mix the remaining RON95 in your car with RON97. Trust Malaysians to seek out the best deals possible. With people seeking ways to trick the system, we looked up whether the suggested methods would work, whether it really is a better deal, or if it’s safe to do so at all. Should You Switch To RON97? According to people who know more about cars than me, if your car is designed to run on RON95, using RON97 will not improve performance. Inversely, if your car is designed to run with RON97, using a lower grade fuel can lead to engine damage. Gotcha. My Myvi is perfectly fine with drinking RON95 then. To reiterate the previous statement, cars with higher capacity (cc) engines require fuel with higher RON (Research Octane Number) figures to perform. However, cars with lower cc will not see any advantage to using RON95. 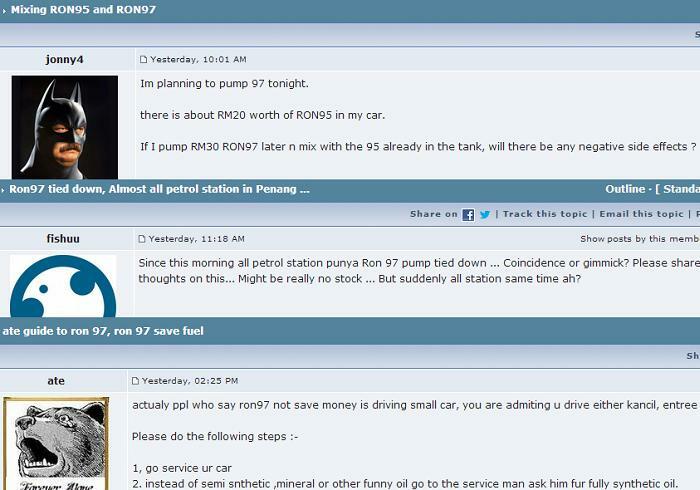 To be even more specific, drivers with cars with engine capacity above 2,400cc should probably opt for RON97. No, RON97 is not higher quality fuel. RON97 caters for cars with bigger engines while RON95 caters for cars with less powerful engines. It really depends on the type of car you’re driving what kind of fuel you need to feed your car. The higher RON number means that it is able to withstand more compression before detonating. Just because it’s more expensive, doesn’t make it better. Well, this one has neither been refuted or proven, so I wouldn’t call this a myth exactly. That said, the mileage should not really differ, according to car manufacturers. What Happens When You Mix RON95 And RON97? 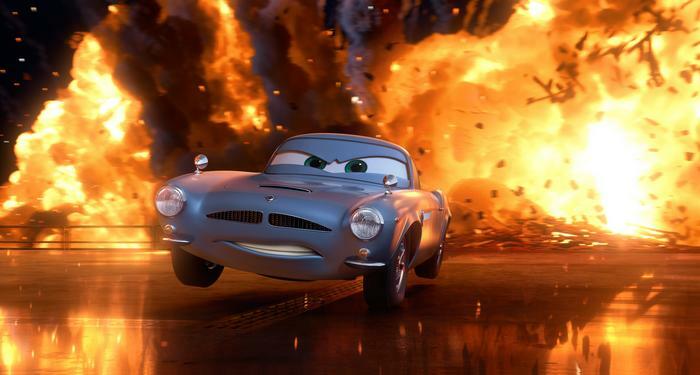 According to quantum physics, if you combine RON95 and RON97, you would end up with RON96, a car fuel far superior to any other fuel known to man. Okay, all joking aside, mixing RON95 and RON97 should not have any detrimental effects as long as you meet the minimum RON requirement. 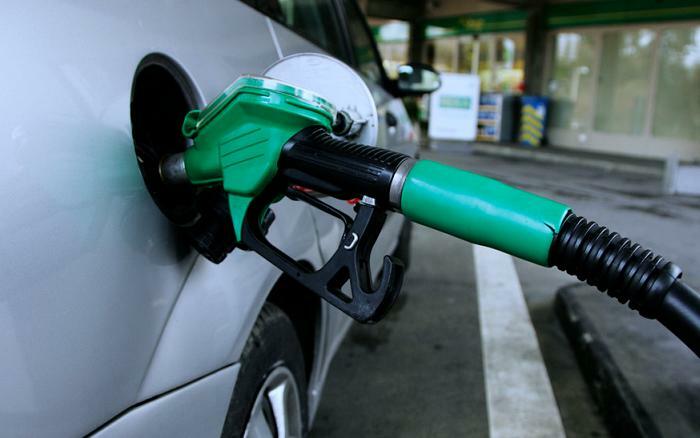 If you’re still not sure which type of fuel your car needs, call your car dealer and find out. Or you could just dig out that car manual and have a look at what the manufacturer recommends. But who reads manuals anymore?